"The warning signs have been there for Madrid all season long, having conceded an average of 1.36 xGA per game in 2018/19, with things yet to improve under Zidane." Stuttgart come into this game in the relegation play-off place, five points from certain safety following a run of eight defeats in 12 league matches. According to expected goals, Stuttgart have been the second worst team in the league this season, with their defensive process to thank, as they have conceded an average of 1.67 xGA per game. Nürnberg are just four points behind Stuttgart heading into this game, a match that will have a huge bearing at the bottom of the Bundesliga. It is highly likely that both of these sides will finish in the bottom three, it is just a battle to see who gets a 'second chance' in the play-off. Nürnberg sit above Stuttgart in Infogol's xG table, having been a better team defensively, but come into this game on the back of a deserved and comfortable 3-0 win over Augsburg (xG: NUR 1.72 - 0.89 AUG), so will be high on confidence. It is fancied that this will be a cagey affair with so much at stake, with the value play being to back the away side to get something at a decent price. Real Madrid lost for the first time since the second-coming of Zinedine Zidane, and they were deservedly beaten, going down 2-1 at Valencia in midweek (xG: VAL 1.71 - 1.12 RMA). That defeat followed a scare at home against Huesca last weekend, in which they needed a very late Karim Benzema goal to secure a 3-2 win. 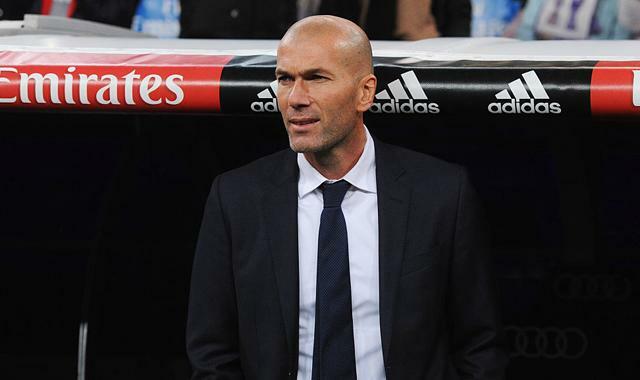 The warning signs have been there for Madrid all season long, having conceded an average of 1.36 xGA per game in 2018/19, with things yet to improve under Zidane. 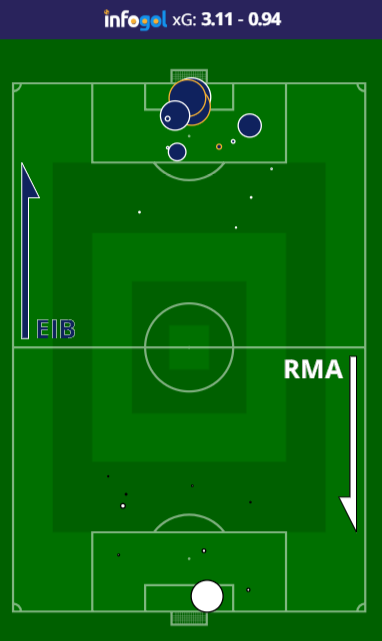 Real Madrid were hammered by Eibar in the reverse fixture earlier in the season, conceding 3.11 xG in that game in a deserved 3-0 win, so will know what the Basque side are capable of. Eibar came from behind to beat Rayo Vallecano in midweek, a victory that kept them 11th in the table, though according to expected goals, they have been the fourth best team in La Liga this season. They have averaged 1.83 xGF while conceding just 1.32 xGA per game, astonishing figures from a team like Eibar who have one of the lowest budgets in La Liga. Eibar have a great chance to cause another shock, as their numbers rival those of Real Madrid, with the Infogol model giving Eibar a 52% chance of coming away from the Bernabéu with something, which represents a great amount of value. Inter Milan gave their top four hopes a huge boost with a 4-0 win over Genoa in midweek (xG: GEN 0.52 - 2.73 INT), another impressive display and a good way to bounce back from defeat to Lazio. They have been the third best team in the league this season, according to expected goals, averaging an impressive 1.63 xGF per game this season, so haven't been short of attacking threat. The same can be said for this impressive Atalanta side, who moved to within a point of the top four with a 4-1 win over Bologna on Thursday. Atalanta have a better attack than Inter, as they have averaged an huge 1.79 xGF per game, with Duván Zapata the main beneficiary of their strong attacking play, as he has bagged 20 goals this season. Given both sides are very strong attacking units, backing goals is the play here, with Over 2.5 goals the selection at a decent price.